Hilliard Preschool – We’re staying hydrated thanks to our PTO! Hilliard Preschool / News / We’re staying hydrated thanks to our PTO! We’re staying hydrated thanks to our PTO! 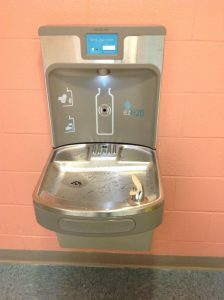 Thank you to our wonderful PTO for our new drinking fountain! We are grateful for your continued thoughtfulness and generosity towards our staff!